Celtic knot design with a 4 leaf clover. 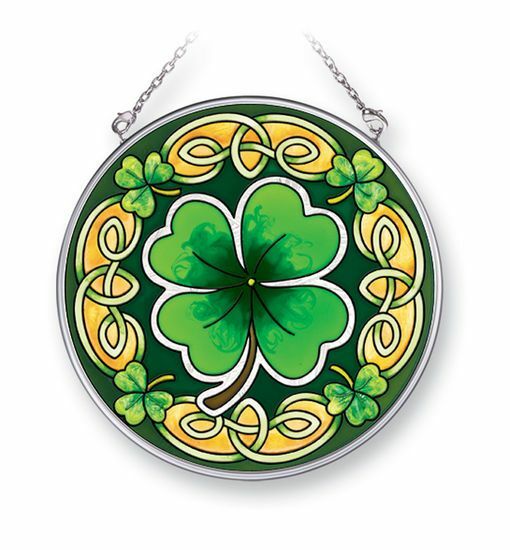 A great Irish gift for St. Patrick's Day. 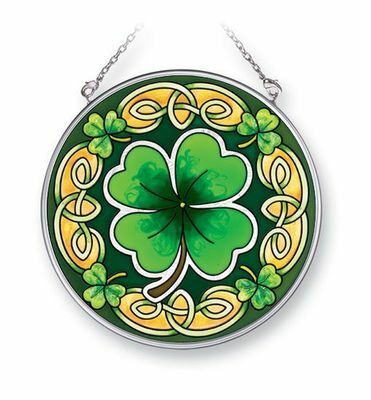 This beautiful stained glass celtic suncatcher will brighten any window or room. Amia stained glass suncatchers include hand painted ripple glass with removable chain.